Until Saturday, January 11, 2019, not many Nigerians would have heard of the name Anti-Corruption And Research-Based Data Initiative (ARDI). It said Onnoghen did not declare the accounts as required by law. That petition is now threatening to consume Onnoghen, who was sent on suspension yesterday by President Muhammadu Buhari. The ARDI petition, dated January 7, 2019, was received two days later by the CCB, according to online publication, TheCable, which broke the news. Things moved in quick succession with the Federal Government filing a six-count charge against him for alleged failure to declare some of his assets, including about $3million. The $3million is said to be lodged in five accounts. The charge sheet is dated January 10 and was filed on January 11. 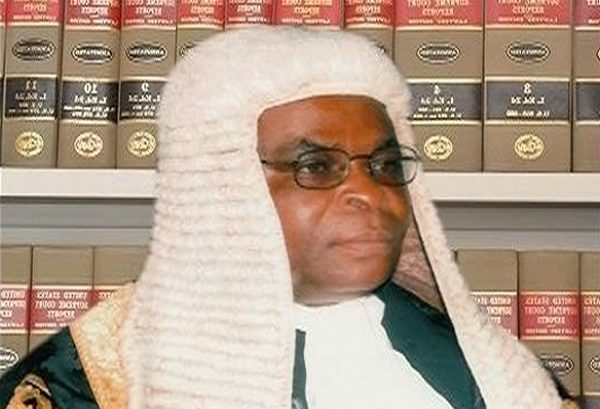 A CCB investigator, Mr. James Akpala, said in an affidavit in support of the charges against Onnoghen, that the filing of the case stemmed from a petition against the CJN. Akpala was silent on the name of the petitioners. It alleged that Onnoghen made five cash deposits of $10,000 each on March 8, 2011 into Standard Chartered Bank Account 1062650; two separate cash deposits of $5000 each and four deposits of $10,000 each on June 7, 2011. Five similar cash deposits of $10,000 followed on June 27, 2011, and another four deposits of $10,000 each the following day. Onnoghen, according to the petition, failed to declare his assets immediately after taking office, contrary to section 15 (1) of Code of Conduct Bureau and Tribunal Act; and that he did not comply with the constitutional requirement for public servants to declare their assets every four years during their career. It said the CJN’s financial transactions appeared suspicious and not justifiable by his lawful remuneration at all material times. Detectives investigating the finances of the suspended CJN last weekend turned their attention to his salary account. Sources said they may have unearthed evidence that the salary account laid untouched in the bank for 18 months at a stretch.